Breast cancer is an insidious disease. According to the American Cancer Society, almost 41,000 women will die this year from breast cancer. Many women will opt to undergo chemotherapy and radiation. Chemo, though an effective tool, can cause long-term damage to your organs, your bone marrow, and your nervous system, so some women may choose to forgo that option altogether, and have their breasts removed surgically. For older patients, like those in nursing homes, the risks associated with both forms of treatment are often higher: chemotherapy can do untold damage to a person whose immune system may be compromised, but surgery can also be dangerous. It increases a resident’s risk of infection, and being under anesthesia can be dangerous. Still, some doctors are willing to risk it. “For frail nursing home residents, breast cancer surgery can harm health and even hasten death, researchers reported Wednesday in the journal JAMA Surgery…. The researchers examined the records of nearly 6,000 nursing home residents who underwent inpatient breast cancer surgery the past decade. They found that 31 percent to 42 percent died within a year of the procedure. That’s significantly higher than the 25 percent of nursing home residents who die in a typical year” (emphasis ours). Dr. Laura Esserman, co-author of the study, says that it is not the cancer that is leading to these residents’ deaths: “When someone gets breast cancer in a nursing home, it’s very unlikely to kill them. 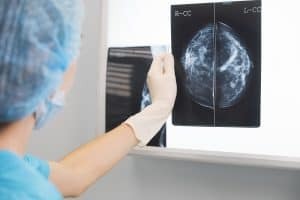 They are more likely to die from their underlying condition.” Breast cancer, according to Dr. Victoria Tang, the lead author of the study, grows very slowly in elderly patients. What the researchers found was that, regardless of any underlying conditions, patients who underwent surgery for their breast cancer not only died more often, but “58 percent [of survivors] suffered a serious downturn in their ability to perform ‘activities of daily living,’ such as dressing, bathing, eating, using the bathroom or walking across the room.” There is no discussion of whether this “downturn” contributes in any way to the deaths, nor any discussion about whether the patients received any other treatments. If you have a loved one in a nursing home, you should know that surgery is not mandatory. There are other options available, reports USA TODAY, including genetic testing to look only for aggressive cancers, or using hormonal remedies instead of chemo or surgery. If your elderly loved one is in a nursing home, and the doctors want to force the issue of surgery despite it not being in your loved one’s best interests, he or she has the right to say no to the treatment. If you have power of attorney, you can say no, too. If the doctors proceed with a course of treatment that contradicts your loved one’s wishes or decisions, or contradicts what you (as power of attorney) have said, that is an act of medical malpractice. At McGowan, Hood & Felder, LLC, we understand that a cancer diagnosis is frightening – but we also understand that not all treatments work the same way for all patients. If your loved one’s nursing home is pursuing a course of treatment that is not best for his or her needs, we can help. To work with partner Johnny Felder or a member of our nursing home neglect team, please call us at 888.302.7546, or complete our contact form to schedule your free consultation. We have offices throughout South Carolina, so we are always nearby when you need us.